The discharge from mining activities at the country’s largest copper mine in Balaghat is contaminating surrounding water bodies and ground water with heavy metals like lead, copper, chromium, nickel and iron, besides dissolved solids, according to a joint inspection report. The copper mine is located 20 km away from the Kanha National Park. 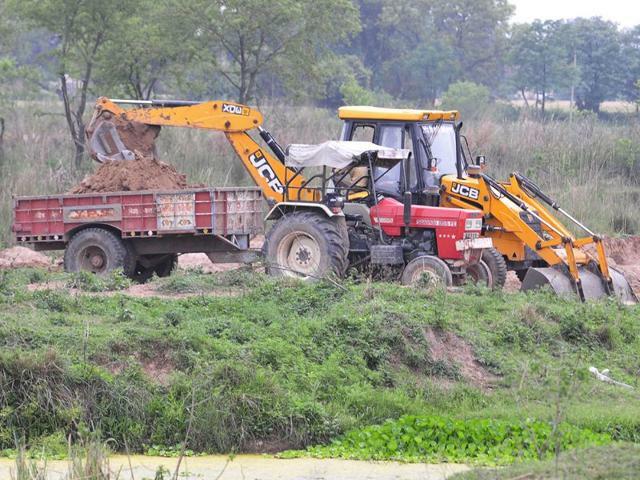 A joint inspection was carried out at Hindustan Copper Ltd’s (HCL) Malanjkhand Copper mine project in Balaghat by the officials of the ministry of environment and forests (MoEF), central pollution control board (CPCB) and Madhya Pradesh state pollution control board (MPSPCB) in August. HT has a copy of the report. The Malanjkhand copper ore and processing plant has an installed production capacity of 3 million tonnes per annum and is operated by HCL, a government-owned corporation under the ministry of mines. During the inspection, the team made a detailed survey of the copper project area and the adjoining villages to collect ground water and surface water samples to ascertain contamination due to mining and ore-processing activities. The ground water analysis of various villages in the vicinity showed significant contamination which, according to the report, requires “immediate intervention or corrective actions”. The analysis of the water samples from Banjar River, Chinditola Lake and Karamsara Lake also showed presence of heavy metals above permissible limits while analysis of the effluents showed presence of lead, copper, chromium and oil and grease above permissible limits. In the project area, water is used for ore concentrate processing, tailing slurry preparation, equipment cooling and washing, dust suppression, floor washing, besides domestic usage. According to the report, 10,500 to 5,92,510 kilolitres per day (KLD) of industrial waste water is generated from the area, 400 KLD of sewage is generated from the processing plant and 1,200 KLD from the township. One KLD equals 1,000 litre. According to Om Shankar Shrivastav, counsel for MoEF in National Green Tribunal (NGT) Bhopal, a petition was filed with the NGT alleging that a large number of fish died in July due to mixing of waste water from the Malanjkhand Copper mine project into nearby the Karamsara Lake. The NGT then directed the MOEF, CPCB and MPSPCB to conduct a joint inspection in the area. The report was submitted before the NGT on Wednesday. Malanjkhand copper deposit in Balaghat has nearly 70% of the country’s reserve and contributes around 80% to HCL’s total copper production. The analysis results obtained based on a single round of sampling undertaken during monsoon season will not be sufficient enough to assess the extent of environmental damage. A detailed Environmental Impact Assessment based on three rounds of sampling during each season along with a health impact assessment will provide a more conclusive data that can be used for assessing the impact of the project on the affected persons. Sewage from the township should be treated in STP comprising of oxidation ponds only and there is a need to upgrade the STP with latest economically viable sewage treatment technologies.